This is my journal page spread created for The Craft Barn Twelve Month Challenge - The Months. 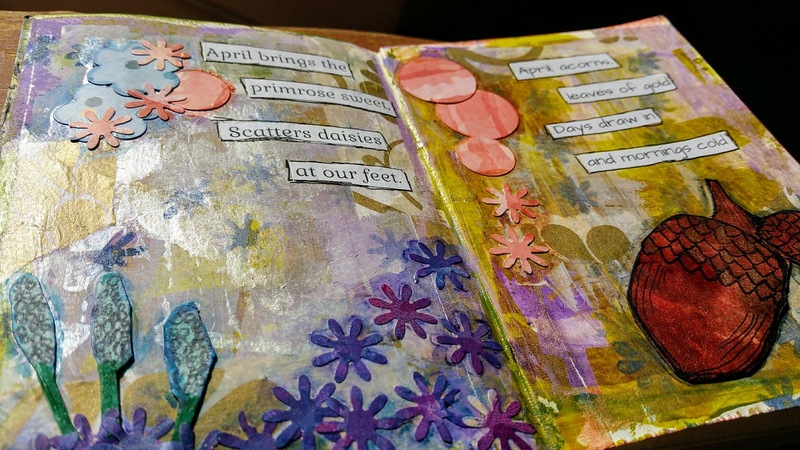 The April challenge was to include primroses or daisies as well as the lines of the poem. 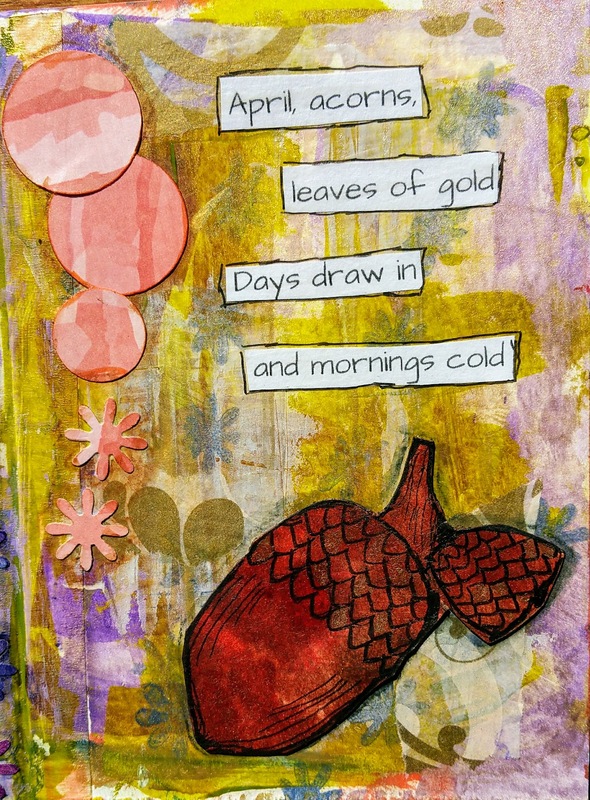 As usual I have created my Southern Hemisphere version of the page a part of my journal spread. I was going to be away from home for a few days and so quickly laid down some paint for my backgrounds, keeping them similar but using Golden High Flow acrylic in silver to highlight the Spring side and gold for the Autumn side. 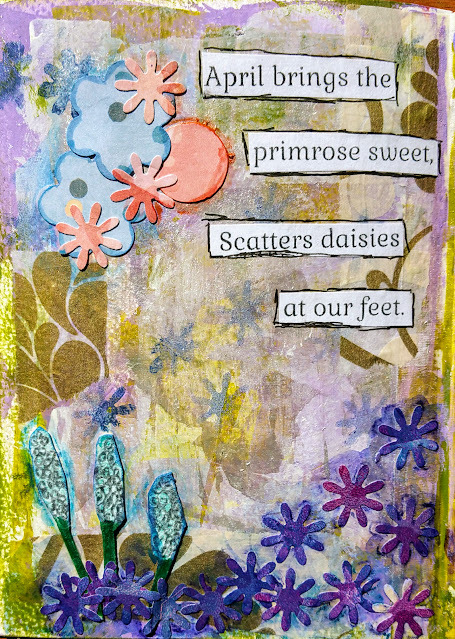 I punched some shapes from patterned paper, with the primrose/daisy shapes coming from some scraps of geli prints. 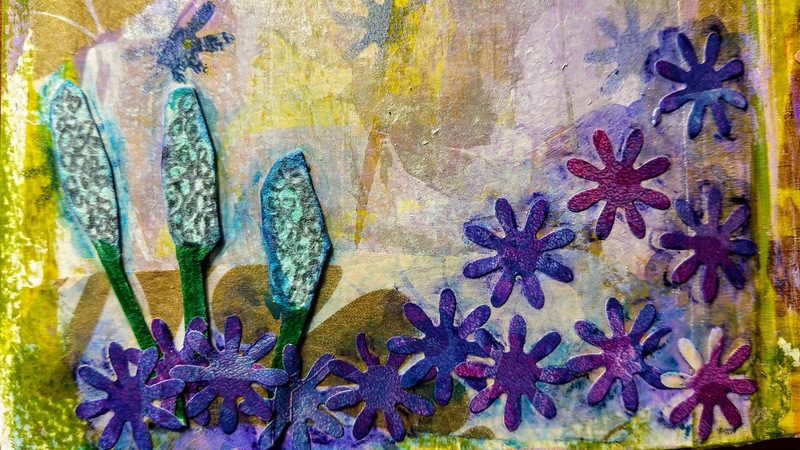 The scraps left were used to stencil some flowers. 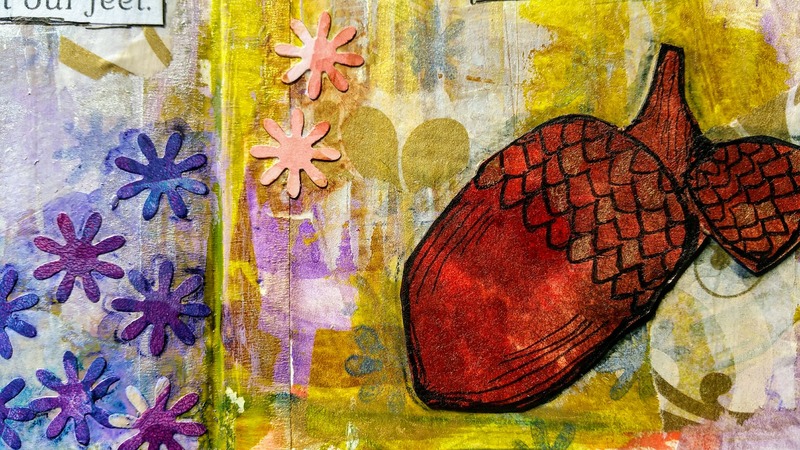 I also coloured a piece of watercolour paper so I could create the acorn. So once I went to create the pages, I stuck on some pieces of gold patterned tissue, then drew and cut out the acorn. I also had some paintings of some hyacinths from some watercolour play and these seemed to fit well. 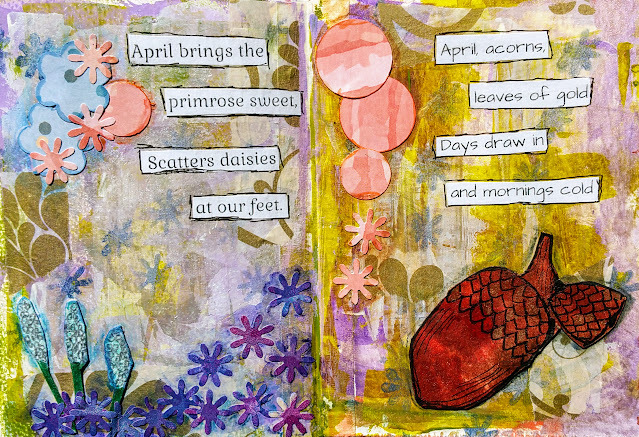 Once I had placed and glued all the images, I chose matching Inktense pencils to outline them. This came out really nice and your autumn side is really clever. Thanks Sybil - enjoying thinking up ideas for both seasons. Thanks Mickie - this is going to end up being a cool little journal. Two more super pages. I do enjoy seeing your alternative "down under" verse each month.